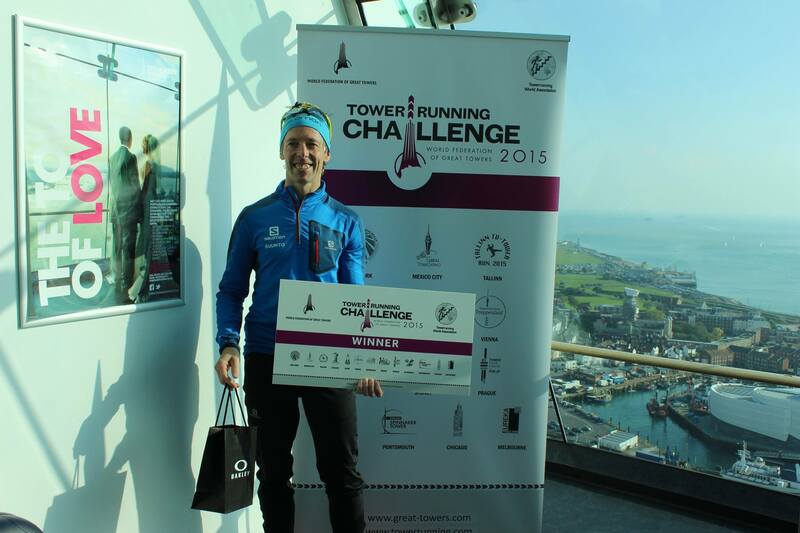 “The Slovenian Multi-Tool” Matjaz Miklosa set a new course record at Portsmouth’s Emirates Spinnaker Tower on Sunday, flying up the 530 steps in just 2.07. It was a crisp, bright morning down on the south coast as competitors from across the UK and the world descended on the Hampshire city for the Spinnaker Tower-thon. 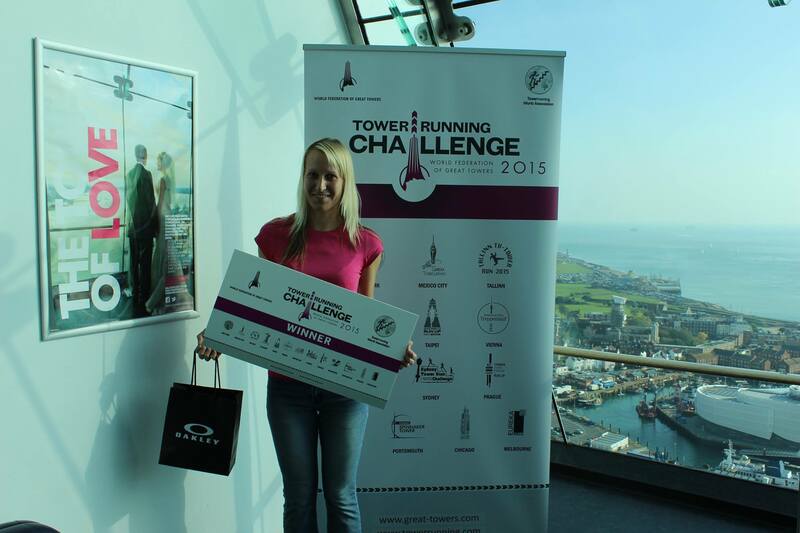 In its second year, the event was also doubling as race two in the UK Tower Running Championship Series and, as such, attracted over three times as many competitors as 2014. 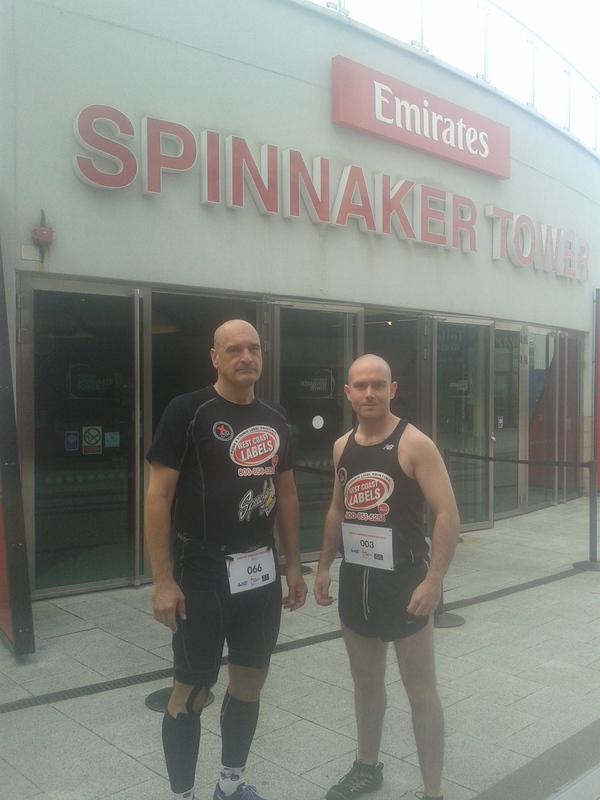 Among the first wave were well-known UK tower runners Mark “The Marauder” Sims and Nishad “Big Trek” Manerikar aka “Jai Manerikar” aka “United Stairs of Manerikar” aka “The Maharajah” aka “Perpetual Navigator” (who went on to join the sub-four minute group and earn himself a top-15 overall finish). Also in the mix were America’s Zivadin “Big Z” Zivkovic (16th) and Tower Running UK’s Patrick Gallagher (4th), who were both representing the West Coast Labels team. 2014 winner Sims was coming off the back of a strong second place finish at last month’s Gherkin Challenge and had sights firmly set on his course record of 2.32. The Liverpool-based runner cut an impressive five seconds off that as he exited onto the tower’s second viewing deck in just 2.27. The record, however, was to stand for just around an hour as Matjaz Miklosa set off in the noon wave and sprinted to an incredible new time of 2.07. He was followed shortly after by fellow Slovenian Jasmina “Crouching Tigress Hidden Klančnik” aka “Rapid Ascent” who took victory in the women’s division and established a new course record of 3.30. Third spot overall was taken by new tower runner Alex James “Mr Boombastic” Ward, who had previously achieved a very fast third place at September’s Gherkin Challenge event, in what was his first ever stair race. We expect very good things from the young athlete as he finds his feet in the sport and gets more race experience under his belt. It was also great to see the return from injury of David Harris, previous winner of the Three Peaks and Gherkin Challenge. He managed an impressive sixth in his first race back and will be one to look out for in November at Broadgate Tower. 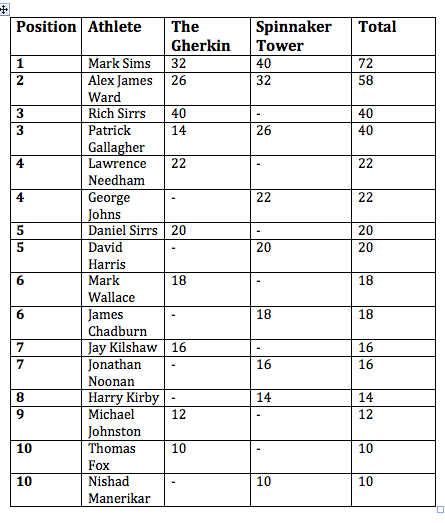 With the absence of all four athletes from the Orchard Park Stair Running Club, who stormed the top 10 at the Gherkin Challenge last month, the race allowed for some serious shift in the current standings of the UK Tower Running Championship Series. All the attention now turns to the third race of the series, taking place next month at Broadgate Tower in London. If racers haven’t signed up yet they should do so soon, here. 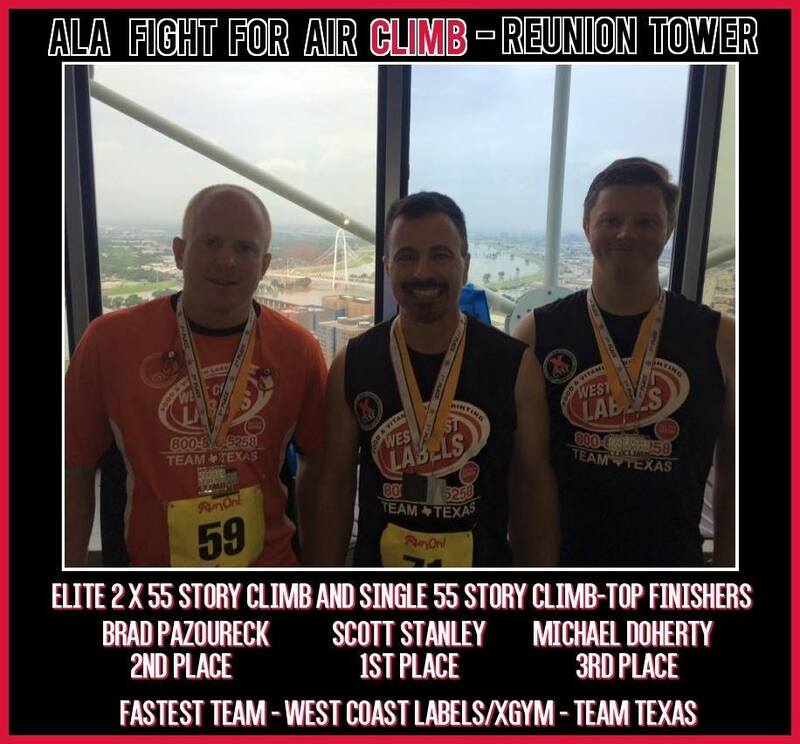 The dominant Team Texas crew from the West Coast Labels/X-Gym team took a clean sweep of the podium at the 55 story Fight For Air Climb at Dallas’ Reunion Tower last weekend. It was the second race the building has hosted in recent months, and once again it was “The Chalice of Thunder” Scott Stanley who took a solid win. The Euless athlete has gone from strength to strength in recent races and secured victory in Dallas in a flying time of 4.10. Following in second was the broad shouldered figure of Brad “The Wrecking Ball” Pazoureck in 5.06, while Michael “Spartan” Doherty secured third for Team Texas in 5.21. The three also took on an extra climb each in the elite double-climb competition, with the overall podium positions remaining the same after their second run. In the women’s section of the race, it was Rosechelle “R&R” Ruggiero who grabbed gold, finishing in an impressive 6.55. Close behind her was Melissa “I Got 99 Problems But Stairs Ain’t One” Ross in 7.02. Haley “The Comet” Cheshier rounded off the podium in 7.09. Great running by all. Congratulations on your successes. There is a touch of the enigmatic about Sproule Love. “The Ghost” often just appears, taking a win here and a course record there, haunting the ranks of stair climbers in the USA. His dominant streak continued on Sunday morning as he finished first in a field that contained some of the strongest and fastest climbers in America. 1,391 steps stood between climbers and the coveted title of USA Stair Climbing Champion. With 2014 champ Alex “The Schenectady Express” Workman in attendance it was clear that claimants to the crown were going to have to really earn it. Sproule Love certainly did that, as he bounded up in a time of 7:22. Here is a great mini-doc on Sproule Love that includes clips of him training (with a cameo from Tim Donahue). Workman managed to take five seconds off his time from last year and finished in second place, crossing the mat in 7:51. The year-on-year consistency of The Express is so impressive. We recommend all readers to follow his blog, where you will find insights into the world of elite level stair climbing, as well as some of the most comprehensive stair climb-specific training advice available anywhere on the internet. Trust us, we’ve looked. Going one better than his fourth place finish last year, and shaving off 12 seconds from that race, was 3rd place John “Renegade” Osborn in a time of 7:56 (his strong finish can be seen here in the first 10 seconds of this news piece on the event). We have to mention “The Steel Oath” Jason Larson who came in a speedy 4th place, after taking a win up in Minneapolis the morning before. What an absolute machine!!! In the women’s division “The Oracle” Stephanie Hucko followed up on her second place finish at ESBRU to take the honors in a time of 8:52. 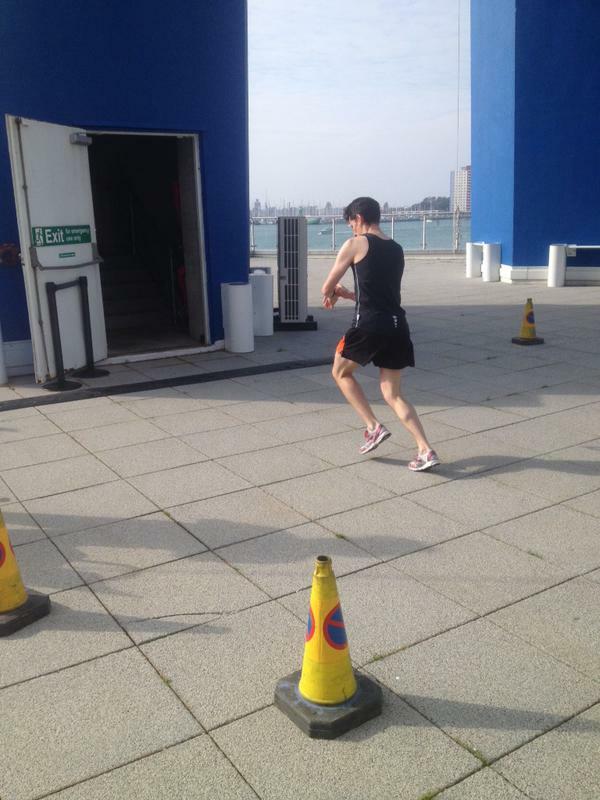 As a highly successful triathlete, and it seems complete all round sportswoman, she has transitioned seamlessly into stair running and has made a massive impression already this year. We look forward to following her progress in 2015. Second place went to Evelyn “The Dream Catcher” Wisniewski in 10:02, with “The Bellingham Bullet” Kacie Cleveland storming to third place, just a second behind, in 10:03. 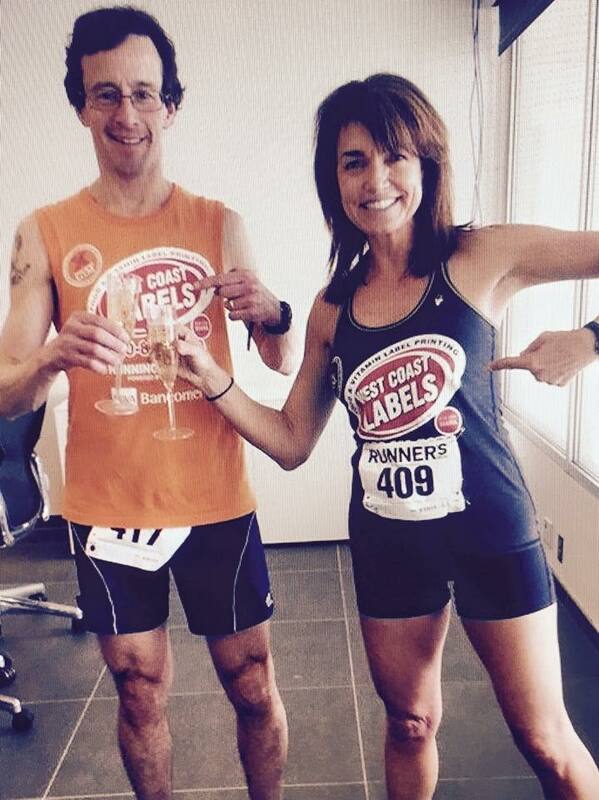 The West Coast Labels team took group honors, with most of the fastest climbers on the day wearing the team’s colours. A special mention has to go to an incredibly inspirational climber in Las Vegas on Sunday. New Zealander Jordon “Auckland Fury” Milroy has cerebral palsy, which impairs his movement, but has evidently had zero impact on his courage and endurance. He is on a mission to climb the world’s tallest towers in a bid to raise awareness about disability. You can follow his progress and offer your support by liking his Facebook page.